For older loved ones, finding a balance between achieving the independence they want and the getting assistance they need, is a quandary at best. We worry when parents or grandparents are living so far away on their own. What happens if they fall? If they’re suffering from a serious health condition, how quickly will first responders arrive in the event of an emergency? According to statistics, over 33 percent of accidents and falls involve people 65 years of age and older. While you don’t want to overstep your boundaries, it’s only natural to be concerned about the safety of your loved one. No matter if your senior is receiving in-home care or out-patient services, a personal emergency response system can provide you both with the peace of mind you’re looking for. 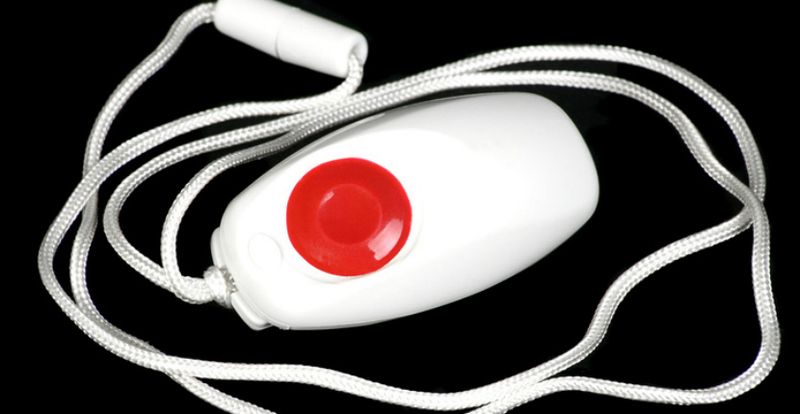 A personal emergency response system or PERS is a device that connects seniors to a 24-hour call center with the touch of a button. It’s a simple and efficient way to get help as soon as they need it. Worn as a necklace or bracelet or on a belt buckle or wheel chair, a PERS usually features wireless communication that interacts with a receiver that connects to the home phone. Once the button is activated, a call center is notified immediately and a medical emergency operator alerts the proper authorities. As an added safety measure, some systems can actually dial out if the phone is in use or off the hook. An operator will also contact family, friends and neighbors if there’s ever an emergency. Now that you know the importance of a personal emergency response system, how do you choose the right one? Freedom Home Care recommends doing some research before considering which PERS to purchase. Not all systems offer the same features, so it’s a good idea to shop around to find the one that will best meet your loved one’s needs. Talk to your senior about what they feel their needs are. When you do, express the importance of safety when they’re home alone. Let them choose the device. A personal emergency response system is most effective when it’s actually being used. If you choose a pendant that feels too heavy around their neck or a belt buckle that’s uncomfortable, it may deter them from wearing it. Be sure your senior feels good about the device when they have it on. Consider the price. It’s common for a medical alert company to charge a monthly fee for its monitoring services. Find out if their fees will remain the same as long as your loved one has the system. How easy is it to use? How comfortable is your senior using the device? Are the buttons large enough to see? Do they find it too difficult to operate? Do they offer 24 hour monitoring and support? Some companies only offer round-the-clock monitoring, but what if your senior has a question about the device after customer service hours – is someone available to help? A PERS can provide round-the-clock peace of mind you seek, while providing the independence they deserve.